The Puffin Run is a 20km trail run and relay race around Heimaey, the biggest island of the Westman Islands. This year will be the second year of this event, after a very successful first race in 2018. The Westman Islands are a stunning place to visit, with beautiful nature steeped in history and culture. If you are like us, always looking for a new running adventure this is one to check out! Heimaey , Westman Islands, 4th of May 2019. The start is at 12:30. Registration will open soon at hlaup.is and at Worldmarathons.com. The route is 20 km, and you can choose whether to take part in the solo run or be a part of 2 or 4 people teams that divide the distance between them. The course goes more or less around the island alongside the coast with spectacular views over the Atlantic ocean. Mostly is it on wild trails close to the sea, with small parts on asphalt roads with little or no traffic. The race has gotten excellent review from all participants and will be even better in 2019! Vestmannaeyjar or the Westman Islands are a group of 15 islands and a number of rocks and skerries. 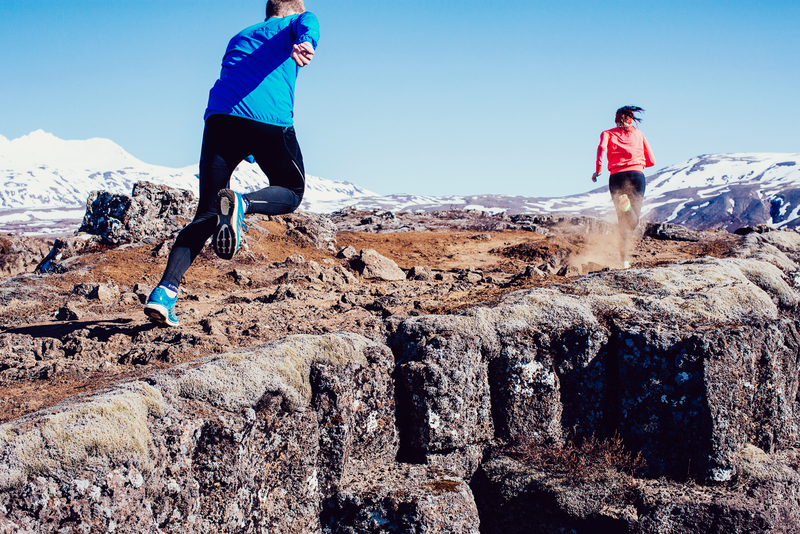 The largest island is Heimaey where 4,100 people live and host one of the best running events in Iceland. The Westman Islands are a stunning place to visit, with beautiful nature steeped in history and culture. The islands contain enough magical scenery and birdlife to delight the visitor for days. In 1973 there was a volcanic eruption on Heimaey. Almost the whole population of the island was evacuated overnight to safety on the mainland, mostly by fishing boats. The eruption lasted months, covering half of the town in rocks and lava and since then it has been referred to as the “Pompeii of the North”. There is a great museum on the island which includes a house that was dug up from the beneath the lava. The Westman Islands is home to the largest puffin colony in the world. There is a convenient bird viewing platform located on the north side of cape Stórhöfði, said to be the windiest place in Europe! Another option is to take a boat ride along the coastline of the islands to get closer to the birds. By ferry from Landeyjahöfn harbor. The boat takes about 30 minutes and is very comfortable. You can take your car but it is not necessary as you can easily get to the start of the race from the Harbor in Heimaey without one. Landeyjahöfn is around 2 hours drive from Reykjavik. Here is more detailed information about the flights and the ferry. Participants in the race do not have to pay for the ferry ride to the Westman Islands. Online registration will open shortly for the 2019 edition. For further information see the race’s new website and the facebook page.